The agreement marks a significant step in the Chamber’s history, providing a stronger global outlook for its dispute resolution offering. “International dispute resolution is inherently a global endeavor,” Siblesz stated in his speech. “As an international organization, the PCA seeks to be able to conduct proceedings anywhere in the world. Cooperation Agreements, such as the one concluded today, are very important in enabling the PCA to carry out its mission,” he added. Since its foundation in 1899, the the PCA has primarily facilitated arbitration and other forms of dispute resolution involving states. Although the PCA is able to host hearings in the Peace Palace in The Hague (a building it shares with the International Court of Justice), it maintains flexibility in typically carrying out dispute resolution proceedings in locations that best suit the parties. Currently it has 121 Member States that benefit from its services. The Florence City Councillor, Federico Gianassi, noted the significanceof the agreement by stating that it “proves once again that our city is a place of meetings and synergies”. 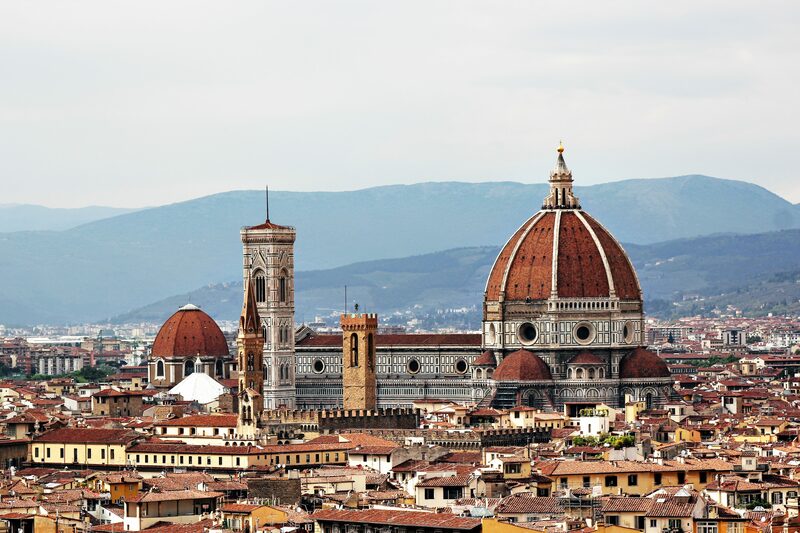 Adding that being part of a global network of arbitration is an important result, which displays Florence’s commitment and ability to build bridges and look to the future. For the PCA, which has similar agreements with institutions all over the world, this is its first in Italy. Besides Florence, there are 27 cities in all continents that can facilitate hearings for the PCA and with the conclusion of this agreement, it can now hold proceedings for the resolution of disputes between states and private parties in Italy. “We are hugely grateful to the PCA for enabling the Chamber in offering such an important service, through which any institution or company may ask to convene their hearings in Florence,” noted Bassilichi. The Chamber is hoping that by attracting companies to resolve their disputes in the city, this will also encourage the use of the new WorkinFlorence digital area, which can be used by all Italian and International companies. Italy has been in the spotlight regarding alternative dispute resolution, specifically mediation, in recent years with a controversial mediation law which has had a significant impact on the use of domestic mediation, as an alternative to litigation, throughout the country. The law has fuelled the widespread debate within the dispute resolution community regarding mandatory and voluntary mediation, nevertheless it has also increased awareness of mediation as a method of resolving disputes. The cooperation between the two institutions could provide an opportunity for Italy, or more specifically for the Renaissance city, to present itself on the international mediation stage. The proceedings to be conducted under the cooperation agreement are not exclusive to arbitration. The Florence Chamber of Commerce is also home to the Florence International Mediation Chamber (FIMC). Through the agreement, the two institutions can promote and foster international ADR mechanisms. FIMC is hoping to expand its reach and attract parties from across the globe, providing a wide range of facilities for mediations on site. In addition, the Florence Chamber of Commerce will now also be able to organize FIMC meetings in the Hague at the PCA Headquarters. This comes at a time where investor-state mediation is gaining traction. By working together, both institutions could be key in facilitating resolution of disputes arising from investment treaties. Florence is not alone in its ambitions for international ADR glory, competing with the larger cities of Milan and Rome, which are both home to institutions who offer a wide selection of dispute resolution services. The Milan Chamber of Commerce, which is widely recognised for its ADR services as well as its incorporation of a Code of Ethics in its Arbitration Rules, and the ADR Centerand CONCILIA in Rome offer years of experience in consensual dispute resolution mechanisms. Despite the competition within Italy, FIMC is determined to find its niche in the international mediation space. In his speech, Bassilichi stated that the new cooperation with the PCA shows that Florence is a “step ahead in its commitment in the alternative dispute resolution field, which includes among its ultimate goals to reduce the time of justice”.